One of the best parts of Thanksgiving is all of the leftovers. And there’s no denying that a sandwich—piled high with leftover turkey, cranberry sauce, gravy, the whole works—is always a good idea. But this menu, featuring healthy lettuce wraps, takes turkey leftovers to a whole new level. 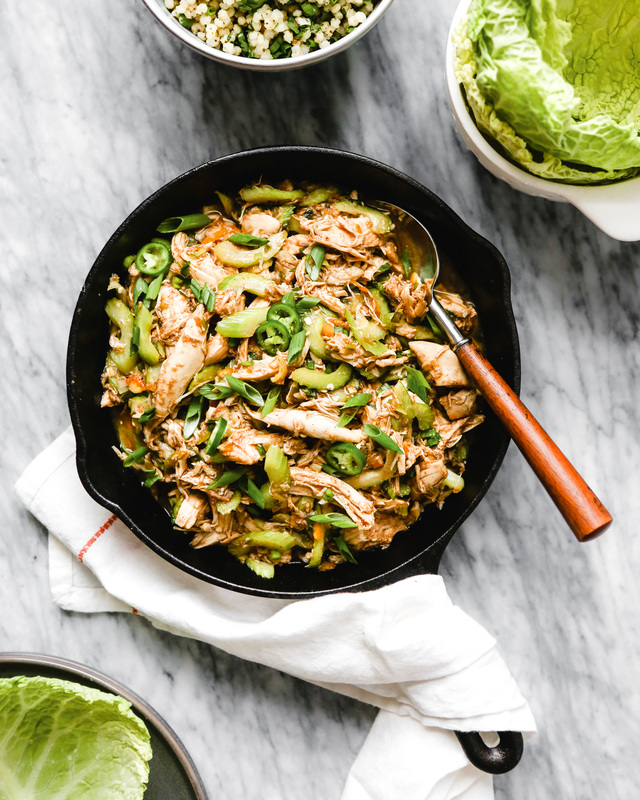 Cooked with big, bold flavors like ginger, garlic, five-spice, orange marmalade and serrano chiles, turkey quickly transforms into a delicious and satisfying filling for lettuce wraps. To counter the bold lettuce wraps, I serve a simple winter fruit salad on the side. It’s crisp, refreshing, and just sweet enough to cut through the warm spice of the wraps. Keep an eye out for these brand new recipes over the next few days!